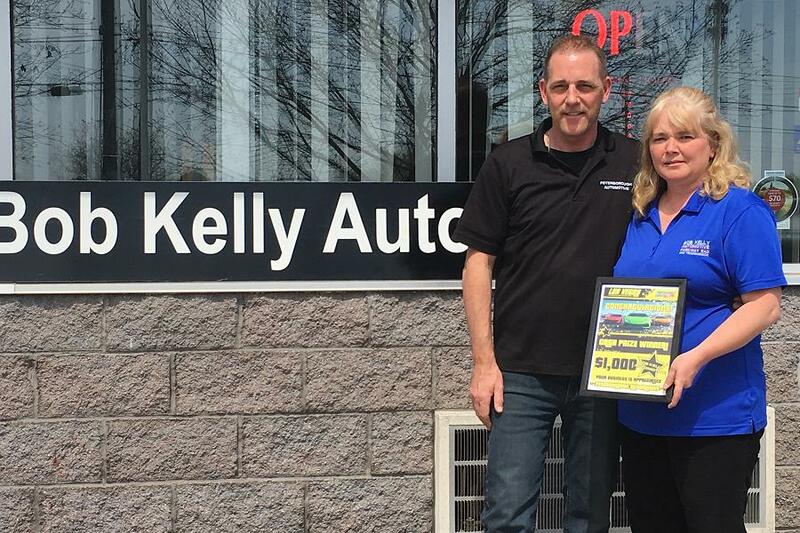 Ormaline Francis, owner and operator of Bob Kelly Automotive in Peterborough, was presented with her $1,000 prize by Jamie Thain, VP of Sales at Peterborough Automotive. For the second year in a row, a customer of Peterborough Automotive has won the North American first place prize in the annual Professionals’ Choice Auto Parts Las Vegas Adrenaline Weekend Contest. Hopefully next year, the trend continues and another one of our customers wins this amazing prize — or even the Grand Prize Trip.